Annan Athletic are delighted to add more strength to the squad on deadline day, with the additions of striker Lewis Guy, full back Jack Breslin and defender Kevin Nicoll. Lewis is a very experienced striker with over 200 English Football League and 30 Scottish Premier League appearances. The 30 year old forward played 139 times for Doncaster Rovers between 2005 and 2010 and has since played with Milton Keynes Dons, St Mirren and Carlisle United. Lewis spent the first half of this season at Chorley FC. 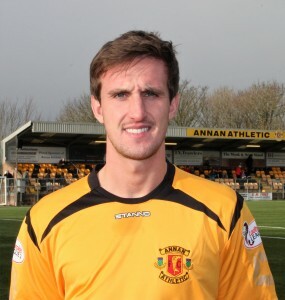 Jack Breslin will be well known to most Annan fans after enjoying a short loan spell at Galabank last season. The Celtic youngster joins us on loan until the end of the season. After progressing through the youths of the Glasgow giants, he made a strong impact on the development squad and has played in both the Scottish Youth League and Cup. 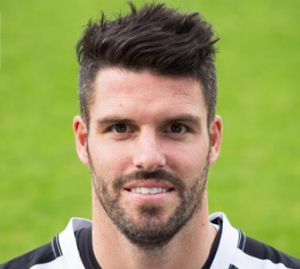 Kevin Nicoll has signed for the Black and Golds after leaving Forfar Athletic. 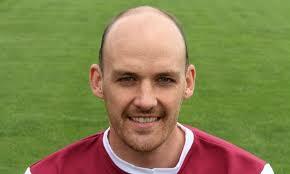 The 6 ft tall centre back was the captain of fellow League 2 side Arbroath last season before signing with Forfar. He has made 23 appearances for them this season including a goal against Albion Rovers. 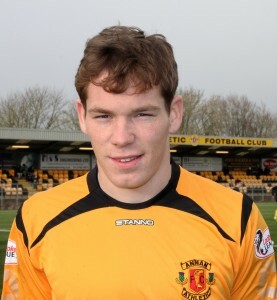 Kevin has also played with Stranraer and Dumbarton. Last Saturday Ben Jago signed for the Black and Golds on loan from Tranmere Rovers until the end of the season. The 19 year old midfielder has came through the youths at Tranmere and has since made two substitute appearances for the club. He has spent the back end of last year on loan at Hyde United making 16 appearances. Ben got off to a flying start at Galabank, coming off the bench to score the winner against Elgin. 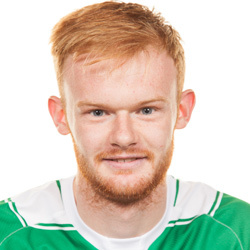 Jim Chapman’s first transfer of the window was Jordan Morton who joined the club on loan from Airdrieonians until the end of the season.